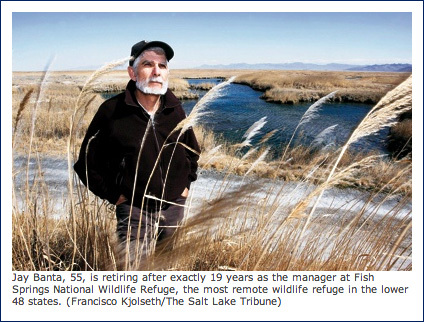 The Salt Lake Tribune ran a feature story (and the photo below) about the retirement of Jay Banta as manager of Fish Springs National Wilflife Refuge, an oasis along the Lincoln Highway in dusty central Utah. Banta, long-time LHA member and membership director, has managed the preserve for the past 19 years. He’s also become an authority on fabled rancher and auto-service provider John Thomas, who pulled motorists from quagmires a century ago. Jay Banta, known for his long beard, strong opinions and passion for all things wild, is calling it a career this week, exactly to the day he came to the most remote national wildlife refuge in the lower 48 states as its manager. How far off the beaten track is Fish Springs? Consider that the only way to reach the refuge is on a dirt road along a path that once served as the route for the Pony Express, the first transcontinental telegraph and the Lincoln Highway. The dirt roads are so bad that Banta always purchased lifetime warranties on tires, shocks and mufflers. Banta has built a new house in Torrey where he plans to retire. He has part-time work lined up, including working as a barista to support his coffee habit. Even cooler, upon some research, I discovered [here, a link to this blog was listed] that the plane was restored, but contrary to the source [since corrected plus check the comments], it’s not in working order. “The aircraft, along with the others in our collection, are accessioned under the National Museum of the United States Air Force which require the aircraft to not be in a working condition,” said one commenter who claimed to work at the Air Mobility Command Museum where the plane is located. A family posted their home video of a road trip in Utah, crossing Fisher Pass on the Lincoln Highway while on their way to Simpson Spring. This was one of the shortcuts sanctioned by the LHA. They even stop briefly at the new monument to Carl Fisher. UPDATE: Sorry, the video has been tagged private. 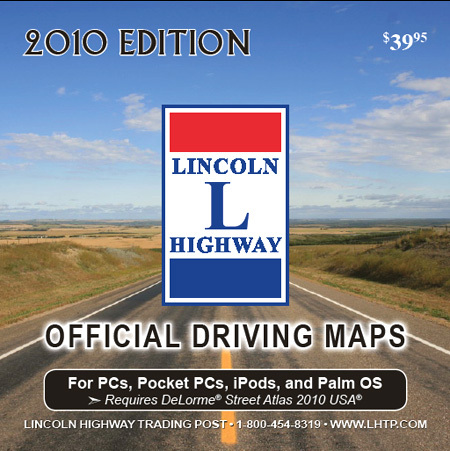 With Spring weather arriving, don’t forget that the 2010 Lincoln Highway Driving Maps CDs are now available through the Lincoln Highway Trading Post. New York: new Eastern Terminus sign at Times Square. New Jersey: confirmation of 49th Street from JFK East to JFK West. 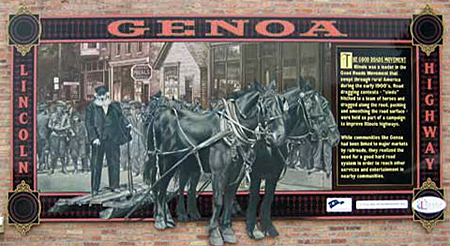 Pennsylvania: addition of all 70+ Pennsylvania Lincoln Highway Heritage Corridor murals, exhibits and roadside giants sculptures. Washington DC Loop: possible alternate route through Bel Air now shown, Zero Milestone added in White House Ellipse. Ohio: adjustments made to 1918 alignments through Canton, Mansfield & Lima, new brick monument locations added. Indiana: adjustments of routes through Ft Wayne, Eastern Feeder Route to Chicago (from Dyer) added. Illinois: Southern Feeder Route to Chicago (from Chicago Heights), and Western Feeder Route to Chicago (from Geneva) added, Lincoln statue added at Chicago Heights. Nebraska: new LH historic marker locations added. Wyoming: Matthew Shepard memorial added at Laramie next to the LH, previously unknown 1913 alignment added east of Evanston. Utah: nine new map updates due to further research by Jess Petersen, new Fisher Pass Monument added. Nevada: alignment corrections made through Sparks and Reno. California: previously unknown 1913 alignment added near Auburn. 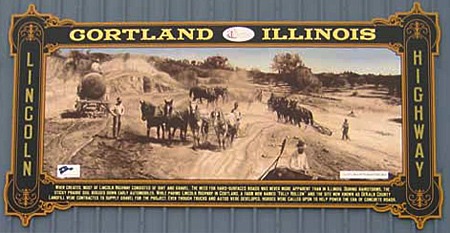 U.S.: Locations of businesses and tourist spots featured in the PBS documentary A Ride Along the Lincoln Highway added. Mike Buettner reports that LHA member Larry Webb of Van Wert, Ohio, has been honored with a Jefferson Award for his many years of volunteer service. 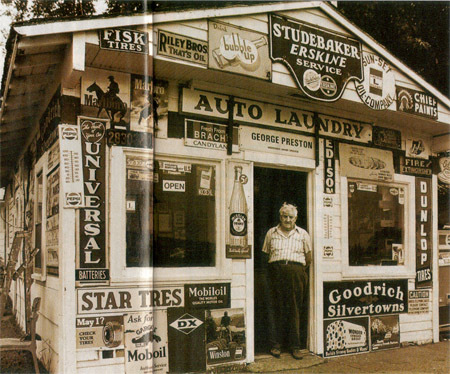 An article in The Lima News mentions his work with both the local historical society and the Lincoln Highway. The nomination was made by LHA members Art and Connie Weber, also of Van Wert. The Iowa amateur radio operators who for the last two years have operated a summer “special event” radio station celebrating 95 and then 96 years along the Lincoln Highway have banded together under the name Lincoln Highway Amateur Radio Group (LH-ARG). 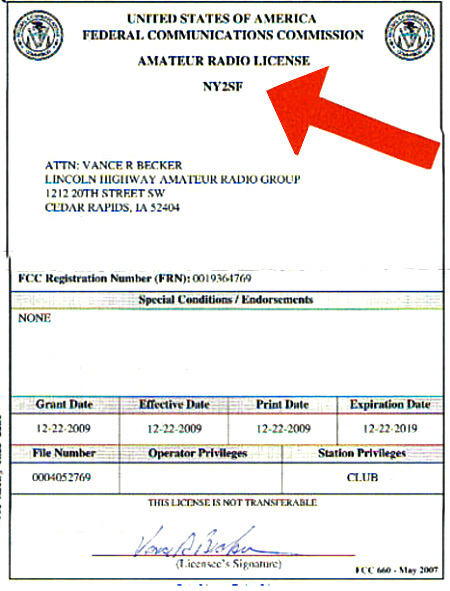 They applied to the Federal Communications Commission for a special call sign to use during on-the-air club operations and they now hold the unique call sign: NY2SF — that is, ”New York to San Francisco, from the eastern terminus to the western terminus of the Lincoln Highway. Key officers of the new LH-ARG are Van & Bev Becker, LHA Life Members. As in the past, the group plans to team with the Benton County Amateur Radio Club to operate another special event station celebrating 97 Years along the Lincoln Highway from Youngville Station the weekend immediately before the 2010 Lincoln Highway Association Conference in Dixon, Illinois. Last year’s special event spread the word of the Lincoln Highway to almost 1,000 different stations in 3 countries. After receiving a National Scenic Byway Grant from the Federal Highway Administration (FHWA) and an Illinois Department of Commerce and Economic Opportunity, Bureau of Tourism, Attraction Development (TAP) Grant, ILHC worked with our vendor, Jay Allen of ShawCraft Signs, to make this project come to life. Each of the 40 communities is asked to designate representatives to work with ILHC on this project, as well as secure a building site for the mural, research stories and images linking their community to Lincoln Highway and agree to provide maintenance and preservation of the mural. Each mural is valued at $10,000. Upon completion of this project, a print piece will be created highlighting each interpretive mural and gazebo (16 of them from a recently completed project) with a map and small description of each. You can view images of the progress HERE and HERE as slideshows or individually. 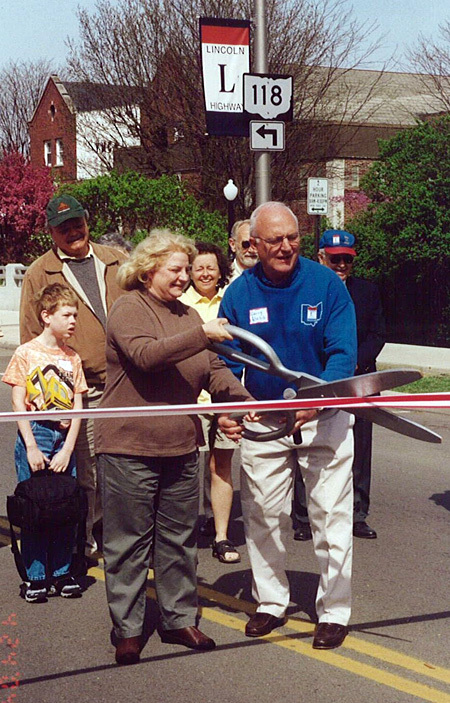 For more information on the Illinois Lincoln Highway Coalition, visit www.drivelincolnhighway.com/. Author Lee Whiteley will present “Old Trails of Northern Colorado: From Foot Paths to Interstate” at 7 p.m. tonight, March 8, at the Loveland Museum/Gallery, 503 N. Lincoln Ave., Loveland, Colorado. 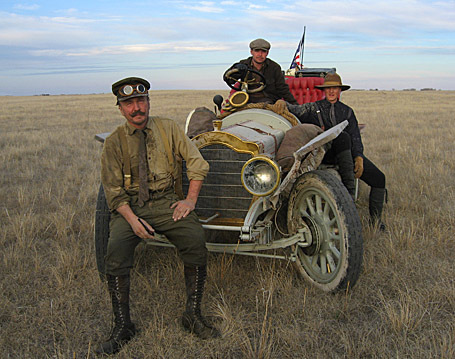 The slide show, sponsored by the Loveland Historical Society, will revisit the Trappers’ Trail, Cherokee Trail, Overland Trail, several auto trails, and the Lincoln Highway’s controversial routing through the state. The program is open to the public; donations are accepted. Call Sharon Danhauer at (970) 290-0169 for details. 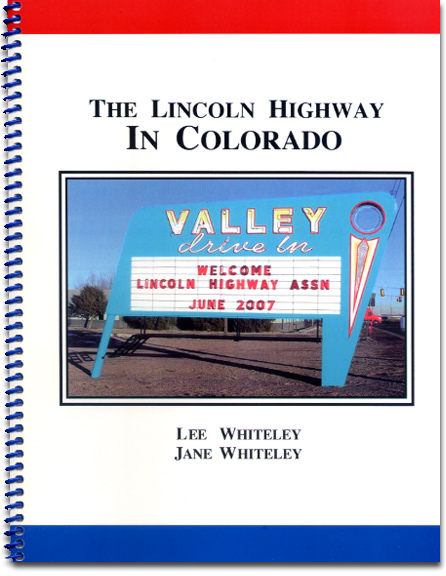 Whiteley and his wife Jane are experts on the auto trails through Colorado, including the Llncoln Highway; they wrote the book below to coincide with the LHA conference there in 2007.